The changes to VET FEE-HELP risk a repeat of history if we do not adequately understand or address some of the systemic issues of the past. In early 2015, a private equity firm rang to ask if we could be part of the due diligence for their acquisition of a high growth vocational education and training (VET) provider. It only took a few minutes to establish that the provider in question had built a ‘successful’ business delivering diploma qualifications to the untapped market of disadvantaged learners who would otherwise not be engaged in education or employment. The sole funding vehicle that made this business possible was VET FEE-HELP (Higher Education Loan Program). Suffice to say, it was a brief discussion. I suggested that the almost complete reliance on one line of funding (already under scrutiny at the time) to deliver AQF level five and six courses to ill-prepared candidates did not appear (on the surface) to be a sustainable business model. In the coming months, the audit by the Australian National Audit Office will lay bare the full extent of the abuses of VET FEE-HELP. Hopefully, it will address the question of how the scheme was so easily exploited. Even today, despite the widespread media coverage, the full extent of inappropriate enrolments is unknown. The Australian Competition and Consumer Commission has investigated a number of registered training organisations (RTOs), but most of the sector remains unexamined. The number of enrolments at those providers currently under public scrutiny accounts for less than ten per cent of total VET FEE-HELP enrolments in 2015. In the meantime, the government has introduced legislation for VET Student Loans to replace VET FEE-HELP in January 2017. A number of relevant issues have already received plenty of attention: the absence of regulated prices, the role of inducements (such as laptops and iPads), the failure to recognise and respond earlier to runaway expenditure, and the lack of focus on demonstrable students outcomes. There are, however, three questions that need to be considered to ensure that the new scheme takes VET financing on a sustainable forward trajectory. Do we have a sufficient understanding of what has and hasn’t worked based on recent experience? What do we now know about how to differentiate between the reputable, the risky and the unethical providers? Do we have the appropriate and future-proof governance arrangements in place to manage VET Student Loans in the broader context of tertiary education funding? Each of these is addressed in turn below. What have we learnt from recent experience about what works? The government’s VET Student Loans is an understandably strong response to the VET FEE-HELP issues that have seriously damaged the reputation of the VET sector. 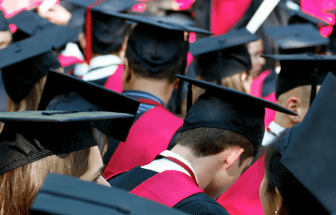 Although no individual element of VET Student Loans package would appear inappropriate, it is unclear whether the sum total of the package of changes is necessary or in fact sufficient to address key underlying issues. Reputable providers with sound and ethical business models in both the public and private sectors have reason to be exasperated by the package of changes. The HELP loan scheme was created to improve access to training and to address a gap in the market for financing training. By pulling on all the available regulatory levers at once, VET Student Loans becomes one of the most onerous programs for students and providers to access. Since the issues with VET FEE-HELP began to emerge in late 2014 the government introduced various additional controls. In April 2015, they banned inducements. In July 2015, they tightened regulation of marketing and recruitment practices, clarified students’ understanding of their rights and obligations, and made it easier to waive a VET FEE-HELP debt. It is difficult to say if these measures had the desired effect: the rate of growth slowed, but the scheme continued to grow to over 320,000 enrolments in 2015. From January 2016, many more substantial changes were introduced; including solicitation bans, rigorous entry requirements including an independent language, literacy and numeracy (LLN) test, and the requirement that providers only charge students for debt as they progress through a course – with fees being distributed over three census dates instead of up front. Stringent new eligibility requirements for providers were also introduced, along with the ability for the government to pause payments, issue infringements and pursue civil penalties for breaches. The design of the VET Loans Program would thus benefit from a clearer understanding of how the raft of changes introduced in 2015 and 2016 have impacted the behaviours and business practices of providers, and the pattern of enrolments since. In talking to some RTOs, it sounds like some of these recent changes have had a significant impact. For example, the introduction of three census dates and the requirement for candidates to undertake an independent LLN test should have impeded high‑volume sales channels. If these changes were indeed effective, then the more onerous forms of these controls may not be necessary. On the other hand, if these changes have been circumvented by unethical providers or proven otherwise ineffective, a substantially different approach would be required. How do we differentiate between the reputable, the risky and the unethical providers? It is clear that government needs to adopt a more sophisticated approach to stratifying the RTO market. There is a tendency to revert to the polarising public versus private split, but this differentiation is neither helpful nor accurate. For starters, the statistical work by LH Martin to classify VET providers in Australia has identified at least five groupings. Analysis of the VET FEE-HELP statistics show that it is possible to classify providers according to other dimensions such as pricing, assessment of candidate suitability, delivery mode, and the ability to support learners through to completion. To take things one step further, adopting a more nuanced classification of VET providers would extend beyond just understanding the statistical differences and similarities, but would start to consider the implications of governance structures and organisational cultures on provider behaviour. This would in turn have implications for policy design and market oversight. The front-end control on the eligibility of providers (as well as students) of varying risks profiles needs to be balanced against stronger feedback on the back-end delivery of outcomes. Linking financing and loan terms back to long-term outcomes would obviate the need to identify provider risk categories, and rely instead on direct feedback mechanisms, rather than regulation. The holy grail in the international debate on tertiary education finance is to be able to tie access to financing back to actual loan repayment rates – solutions that ensure that providers have some ‘skin in the game’. These ideas haven’t received sufficient attention in Australia, and are not currently reflected in the design of VET Student Loans. Do we have the appropriate and future-proof governance arrangements in place? There are a number of governance issues that need to be considered in order to ensure that VET Student Loans does not merely address past transgressions, but is positioned for future relevance and success. Under the current treatment, the HELP loan book is an income generating asset, with the cost of the scheme only having a small and delayed impact on the fiscal balance. There is no separate loan book for VET versus other HELP loans for higher education. There is, therefore, no way of recognising or tracking repayment rates are likely to be much lower under VET FEE-HELP relative to HECS-HELP. As an indication of the disjuncture between the level of loans written and the impact on the bottom line, VET Student Loans legislation is expected to curtail the volume of loans written by about $7bn, but this represents a mere $13m in savings in budget terms. This may be an appropriate accounting treatment, but it needs to be augmented by more rigorous reporting and monitoring. Governments at all levels need to consider how VET Student Loans will fit into the broader context of future tertiary funding. Curtailing access to VET loans in 2017 is poorly timed given the overall decline in government funding for VET in recent years and in light of the looming cliff edge that is the expiry of relevant inter-governmental funding agreements in mid-2017. Professor Peter Noonan has recently called for the establishment of an independent authority to oversee and administer for tertiary education as a whole. In many ways, the complex funding environment for VET and its growing intersection with higher education, needs much more than tighter controls to remedy VET FEE-HELP. It is increasingly apparent that a more future-oriented governance framework is needed to ensure a coherent approach to tertiary education financing and system design that is able to respond to rapid changes in the sector and to manage the total funding envelope. Significant issues under VET FEE-HELP will no doubt continue to attract widespread attention. What we already know about the failures of the scheme provides the basis for a strong policy response. Taking this opportunity to understand and address the deeper systemic issues of the past will ensure that the benefits of income contingent loans are preserved without risking a repeat of history. The original version of this article was published in Campus Review Nov 2016.